The good news is, that we found excellent choices in both categories. 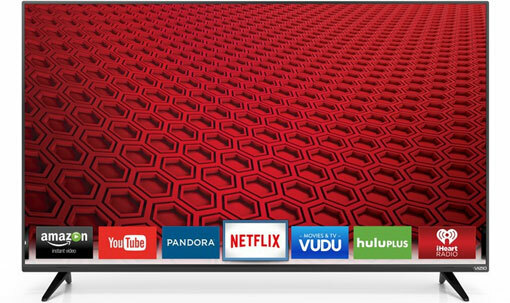 As it was last year, our top picks are both from Vizio. 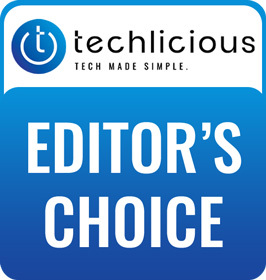 Our overall winner is the Vizio E65-C3, offering a terrific blend of quality and price for a large-screen set. While the Vizio M55-C2 is our top pick for those who want to step up to 4K without breaking the bank. 2. You list “LED” as the display technology. The “display” technology is the panel, not the backlight. There are no “LED” consumer displays available, they are all LCD. This makes all of the reviews in your site questionable! Do your research first and stop misleading the public. You should be educating, not fueling Samsungs’ consumer con by calling these “LED TV’s”. BTW, not having 3D is a PLUS. Stewart has been writing about consumer electronics for more than 30 years. I would gladly take his very educated opinion over most other writers (or anonymous Internet posters). But let’s get to your specific points. 1. Yes, you’re right, we didn’t talk specifically about the type of panel. We focused on the overall picture quality and value for the money. IPS panels do have better viewing angles (at the cost of contrast ratio), so that is another potential benefit of this TV. 2. Actually, we consistently refer to the TV as an LED LCD set, which is standard industry terminology for this type of set. Nowhere (unless I missed it) did we call this an “LED TV”. Though, seriously, you’re still beating that terminology dead horse? LED TV is widely used in the market at this point and everyone knows what is meant by that term. And since, as you point out, there are no consumer LED sets on the market, it’s absurd to say anyone is being “conned”. Not mentioning the panel type, especially when it is not the norm is as bad as a auto reviewer not stating what size engine that is in the car he reviewing. Please show me where this “industry standard” is stated. Funny, I didn’t realize Samsung is setting “standards”. As far as the misleading term, are you aware it was outlawed in the UK a couple of years ago? There was quite a stir over the term. Apparently they don’t buy into deceptive marketing practices. Lastly, point me to all these consumer TV’s with a LED panel, being a emissive type of display that doesn’t have a backlight since they wouldn’t need one. 1. Noted. Since most other TV reviews also don’t mention panel type or mention it only in passing, we’ll agree to disagree on that one. 2. I didn’t say it was an “industry standard”, I said it was “standard industry terminology”. There’s an important difference, and you should know that. If you look at the reviews we link to above on Digitaltrends and CNET, they both use either the term “LED” or “LED LCD” to describe various TVs, as do our friends over at HDGuru.com and many, many other sites. I’m not going to waste more time trying to prove that those terms are in wide use across manufacturers (not just Samsung) and tech media. 3. There are no consumer LED panel TVs (as I already said above). Therefore, no one is being misled into thinking they’re getting one thing, when they’re really getting something else. Feel free to continue to pound sand on this issue, but this is a fight you’ve already long since lost.